Every time Google change its layout, SERP crawlers and parsers need to be adapted in order to keep extracting accurate ranking information to generate its reports. Luckily, GeoRanker crawlers were designed to make these changes easy to manage and to allow us to adapt the crawling rules in few minutes after a major update was launched. Another issue with Google changes is that, most of the time, they are country or keyword specific. This way, Google maintains multiple versions of the layout and collects stats on how users interact with the new features. This happened a few months ago with the now extinct Google carousel. Currently, their focus is on Google maps. The newest version of Google Maps, integrated within Google search, has gray borders and custom filters on top, depending on the keyword used. 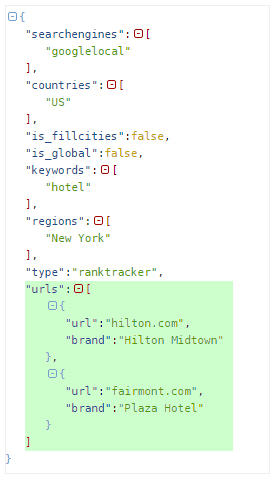 The features are active in most countries and are normally triggered by local keywords such as “hotel” and “restaurant” but for some keywords and languages we can still find the old version. The main difference between the versions, besides the appearance, is that the new version does not list the establishment’s web URL. This information can be accessed only when the user clicks the establishment’s name and, on the Google Maps page, clicks on the “website” button. This makes it very difficult for the users as well as the SERP crawlers to see the establishment’s domain name. GeoRanker Crawlers are already adapted to the new layout and to Google’s specifications. Note: as the website URL is not available anymore, we are asking our users to track their rankings using their brand name on Google Maps. When creating a rank tracker report in GeoRanker, the user now has the option to add a brand name for each website URL he tracks. The brand name will be matched against the title of the page or establishment but only if the title contains all words on the same order. This means that if a location is listed as “Gramercy Park Hotel”, a brand name “Gramercy Park” will match but the brand “Gramercy Hotel” won’t. GeoRanker API users have the option to set the brand name when creating the report using the command /report/new . The brand is part of the url object and will be used as an alternative in case the URLs do not match. If you need more details about our API functions, you can check our SERP API documentation page. On our first page reports on Google Maps, website URLs will not be available anymore and the user will be able to identify the establishment by title, description and phone number. Even with all the recent changes in the way Google shows local results, GeoRanker and its crawler servers are still able to get the data accurately and consistently. As Google continues to adjust its features, so do our tools by being up to date and up to speed. Here you will find the steps on how to track your Google Local position on the SERPs.